There is a ‘Farmers Market’ on the first Saturday of each month in our local town. We thought this would be a good opportunity to take Tuchena out on her own for an hour and work on her gaining trust in our decisions (opposed to looking to our two labs for their reactions). So, we left Hendrix and Otis at home, strapped Tuchena in to her harness and headed off for the market. The hope was that it would be reasonably busy with plenty of new sights, sounds and smells and that Tuchena would trust us enough to not be too overwhelmed by it all. We walked her up and down a few times on the opposite side to the market, we then crossed over and walKed to the back of the market, where we sat and watched all the action for 10 minutes. Tuchena then started to get restless so we walked around again before we went back to the truck. On this occasion we decided not to walk her through the stalls as there was someone with a small dog on lead a short way in and Tuchena had already spotted it. We wanted to quit while we were ahead! It is interesting taking Tuchena out on her own, she is very different without the back-up and reassurance of her pack. I love farmers market, so much fresh and delicious food! 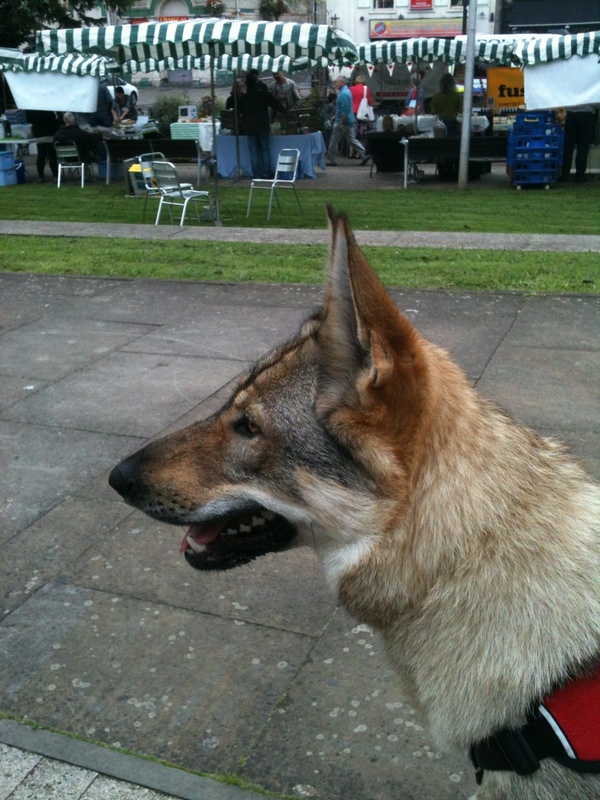 We had brought Luna one time to our local farmer\’s market downtown and she was a little on edge at first, but was fine. I think it\’s great to have them experience various situations with new people and places. I\’m sure Tuchena got much attention while there. Looks like it was quite a success, and Tuchena looks like such a little trooper with her little red harness! Does that work best for her? We haven’t tried one on Luna yet. I think you are right, experiencing different situations is an important social skill and Tuchena got plenty of attention! It’s been so long since I last read about Tuchena. She looks great! I’m glad to hear that she’s growing less weary. 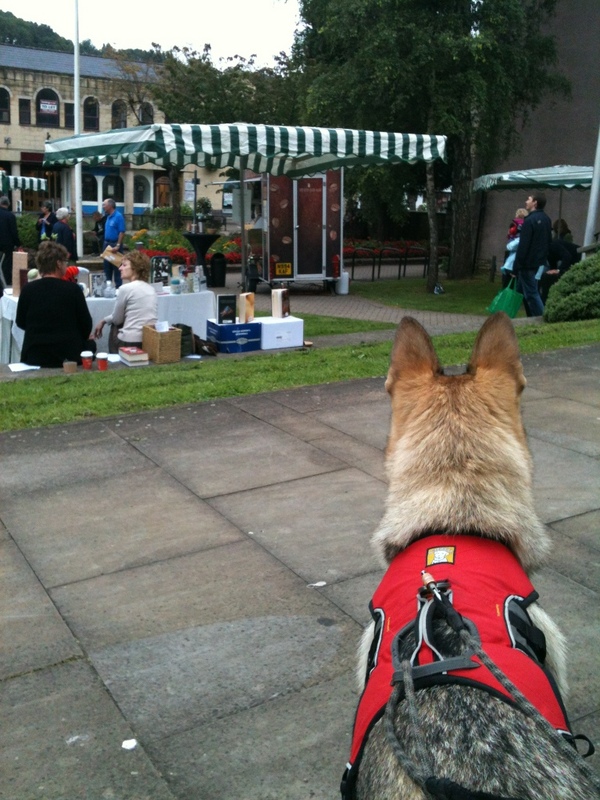 My human’s haven’t taken me to a farmer’s market yet but it sounds like a fun place to go. Maybe we’ll go this weekend. Did Tuchena get any free samples for looking so beautiful?